Experts have also predicted hailstorm. New Delhi: Delhi and the National Capital Region (NCR) woke up to an overcast sky on Thursday with some parts also experiencing light rains. “The sky will remain mostly cloudy throughout the day. There is a possibility of light to moderate rains in the National Capital Territory,” an India Meteorological Department (IMD) official said. 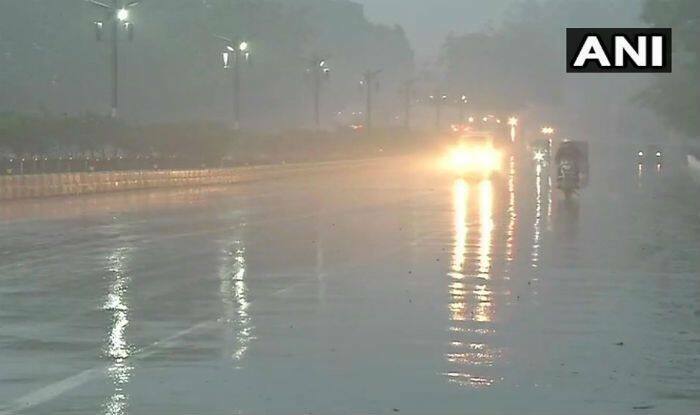 Traces of rainfall were reported from Patparganj, Mayur Vihar, Vasant Kunj, Noida and Greater Noida. According to the experts, gusty winds along with thunderstorm associated with western disturbance will improve the air quality to “moderate” later in the day. Skymet Weather also predicted intense spells on Friday as well. respectively,” a leading daily quoted a Met official as quoted. Meanwhile, ten trains to Delhi are running due to poor visibility, reported ANI.